What is longer than a marathon? Has it really been over 2 months since my last post? Well, let’s just get updated then. My physical therapist cut me loose in February and I have been maintaining my injury with daily stretching, strength work, and weekly acupuncture. I’ve managed to build my mileage up to about 20 miles a week. I still have some back and neck pain from time to time and have set up weekly massage and acupuncture sessions for the next month in an effort to finally break this stuff up for good. About 3 weeks ago my neck acted up pretty severely and I was really nervous that I was regressing. I had been adding a little bit of speed work to my training so I decided to shift my training to lots of easy and some aerobic running with nothing at or above threshold. I’ve also been reading up on Lydiard training and trying to apply some of those principles to my tiny (to him) amount of weekly mileage. I’ve been wearing my heart rate monitor again to keep me reigned in. I have to say that I have really been enjoying my workouts and am also starting to see some improvement which is promising.The past few weekends I have been running long on trail, too, which just makes my heart so happy. I’m now cautiously optimistic about being able to complete at least a marathon in the Fall. From today's run along the New Jersey Palisades Long Path. So happy to be back to trail running. Yep, you read that right. I turn 40 in October and in addition to considering Jungfrau which I had earmarked as my fantasy 40th birthday race way back in 2011, I started considering running an ultramarathon. What the heck is an ultramarathon you ask? According to Google, “An ultramarathon, also called ultra distance, is any footrace longer than the traditional marathon length of 42.195 kilometres (26.219 mi).” I started looking at the shortest common distance race beyond a marathon which is a 50k (31.07 miles) and narrowed it down to a couple of options within driving distance. I wanted to consider something that seems completely out of reach. I’ve run a marathon and I know I can do it. The thought of tackling 31 miles which will likely take 6.5-7 hours to complete feels like a significant challenge. The training will be a significant commitment and challenge. Another thing is that I’m not in love with road marathoning. I love distance running, but running long on road doesn’t have the same appeal to me as trail. Sure, I could do a trail marathon next, but again, I know I can do that distance and I’m not particularly keen on upping the ante by throwing in a bunch of elevation or technical trail while my injury is still lingering. Having an excuse to be on the trails for hours every weekend is also a big motivator. And to be completely honest, I’m curious about the mental aspects of running an ultra. I know I am tenacious and have the ability draw strength from adversity, but where is the line? About 2 weeks ago I settled on a race in Pennsylvania that’s about 2 hours away. It’s a point-to-point along the Delaware Water Gap with cumulative gain around 2,500 feet with corresponding loss. “A great mix ranging from rail-trail feeling cinder path to singletrack, the non-technical and rolling McDade Trail is a perfect venue for a relatively fast and scenic fall trail 50k.” reads the description on UltraSignup.com. A video of the course from last year’s inaugural race sealed the deal for me. 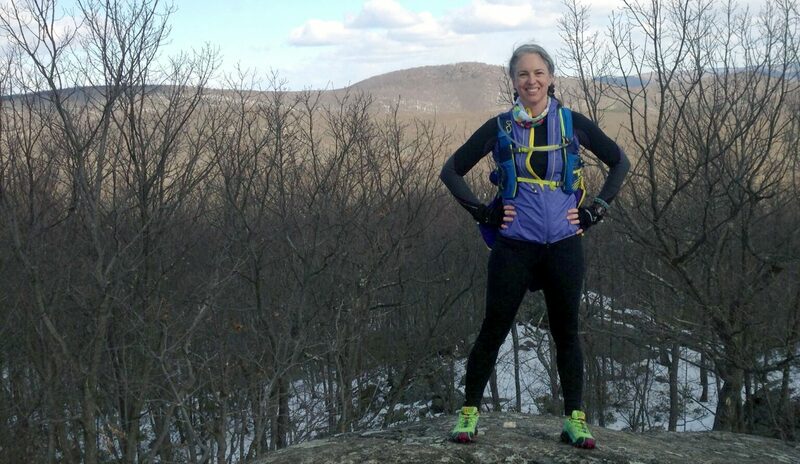 2015 Water Gap 50k from MountainPeakFitness.com on Vimeo. I shared with a few running friends to confirm I wasn’t overlooking anything. I also shared with one of my dear friends in Brooklyn who I am going to ask to be support that weekend including driving me back home after the race. Most of my running friends will be at the peak of their marathon training before heading into taper for their big races and the thought of sharing this with someone who was friends with me long before I started this running journey makes it all the more special. I had intended to wait another few weeks to register because I wanted to lock down a training plan and get to better place with my back and neck, but on Friday (yesterday) I pulled the trigger. I very rarely favor my heart over my head, but betting on my tenacity (getting me to the finish of this thing) seems like a pretty safe bet. So on Saturday, October 8th at 7am I will board a bus to the start of my first ultra. At 8am, I will start my run which I hope I will complete in less than 7 hours. I’m interested to see how this journey over the next six month changes me. So we all know the story by now, right? It started with a pain in the neck about two weeks after the marathon and then a sneeze at the beginning of January that set me back again. It’s been a crazy few months trying to balance my recovery–physical therapy, acupuncture, rest–with the rest of my life including a challenging project at work and several other leadership position responsibilities in other groups. Add to that being a new coach with 2 athletes and I have plenty on my plate! So how in the heck is this injury making me stronger? Being injured is a tough mental game. And I’m not just talking about the frustration of dropped races, missed runs with friends, and feeling like all my training gains from my marathon training cycle are withering away. Not being able to workout and especially run, changes your brain. No workout endorphins, no familiar form of stress relief, and a total disruption of routine will have physical effects, for sure. Add a little bit of a feeling of a loss of identity on top of uncertainty of when full recovery will happen and training can resume and there was a lot to wade through all at once. It wasn’t all bad and I did enjoy my social life a bit more, but I did find myself feeling more stressed than usual. In the past couple weeks I have definitely noticed a mental shift as I learned how to adapt. Maybe not so coincidentally, my recovery had a sharp upturn in progress when than mental shift happened! Consistency in strength and conditioning. During marathon training, I was getting in strength and conditioning about twice a week for at least 45 minutes each session. My physical therapy calls for 10-15 minutes of stretching every morning and evening with a few minutes here and there throughout the day. Additionally, I have 30-45 minutes of strength exercises to get in every day: single leg balances, 60 squats, 60 weighted lunges, 60 single leg bridges, several different core exercises in multiple sets, some weighted upper body work. It was a lot to keep up with. But I learned that I can do strength work every day and it’s not too much. It was also great mental training on the days I just didn’t want to do it. This was especially true for days that work erupted or other life stuff seemed to compete. There were days I had to dig really deep into the motivation well to get that strength workout in! And the results are apparent both in my increased strength and my body composition. Adding cross-training to the mix. During marathon training, I was also supposed to be getting in 1-2 non-impact cardio (spinning or elliptical) workouts each week. I hate the gym and riding my bike in the city freaks me out. Needless to say, I made it out for 2 cycling sessions at the start of my training cycle then quickly forgot about the 1-2 cross-training days. My physical therapist only wanted me doing elliptical and walking on a treadmill for awhile so I had to work past my gym anxiety if I wanted to recover. I signed up for the rec center gym around the corner from my apartment and have been twice in the past week. When I get back to training, I plan to keep the elliptical and stair climber in my routine at least twice a week. I’ve been cleared for elliptical and short run/walk intervals so this morning I signed up for 6 months at the local gym and hopped on the elliptical. Followed that up with 30 minutes of strength and 15 minutes of yoga/stretch. I feel like a totally new person. Not training has been TOUGH. Much tougher than actually training! Letting go of expectations. For the first 2 months of injury, I was pushing to get back to training–sometimes to the detriment of my recovery. After the sneeze, I resigned myself to taking my time and removing expectations. My desire to plan my entire year’s race schedule (including goal times) faded and I became comfortable with the idea of just getting better and being able to run short distances. My physical therapist told me I can probably train for a Fall marathon, but I’m not even looking. I know there is still plenty of time to figure it out. I can figure out my goals as my recovery progresses. There is no need to declare my goals months or even weeks in advance. Getting back to basics — and appreciating them. A few years ago, I never thought I would run again. That first and second year back I was just so excited about every small goal — a 5 mile run, finishing my first half marathon. Last year I had a really great year full of PRs, heavy training, and a marathon. When I crossed the line at NYC Marathon, I felt like a real runner and athlete. I was so proud that I felt great for most of the race and was able to make my last mile my fastest. I was ready to push myself to the next, bigger goal. Being injured and not being able to do anything for awhile has reminded me of what a gift it is to be able to run. (Or just workout, for that matter.) To have a body that is able and mind that is willing to move is truly a blessing. First time running since New Year’s Eve. Only 2-3 lanes cleared on the track after last weekend’s storm. This was mostly walking, only 10 of the 30 minute workout was running and it was only 1 minute intervals. I’ll start increasing my run intervals until I get to 30 minutes of solid running again. It felt great just to be on the track and moving a little! I’m slowly getting back to running with run/walk intervals and hope to be up to 30 minutes of solid running in the next week or two. Then I will start slowly building my mileage through March. No speed work until at least April, but I will be able to run both Broad Street Run (10 mile) and the Brooklyn Half in May. My physical therapist let me know this week that she is hoping we can wrap up our work together in the next week or two, but encouraged me to continue with acupuncture which I am more than okay with. I don’t know how soon I will go back to group runs, though. Running with friends on New Year’s Eve was fun, but also stressful as I felt the need to keep up with them. I think I will continue to fly solo for awhile until I get back into a comfortable pace for myself. I’ll save the updates about my new role as coach for another post. However, if you are interested in a personalized training plan based on Jack Daniels (VDOT) philosophy do let me know! It was Sunday morning and I was getting ready for my longest run since injuring my back and neck–a little 5 miler after which I would meet up with my run crew for brunch. I was bent over the sink, brushing my teeth, when it snuck up on me. I sneezed and immediately knew something was wrong. I was paralyzed in the position for a moment and afraid I wouldn’t be able to stand back up. But let’s back up. If you’ll recall, about two weeks after my marathon I suffered a back and neck sprain. It was a perfect storm of a few things that lead to it including but not limited to an already tight back from marathon training, being sick in bed for several days, running a trail race in cold conditions, then hanging out for hours in the bitter cold. I saw a physical therapist a couple of days after the race and have been seeing her ever since. Through November I worked mostly at home so I could stand while I worked. I stretched twice a day and did some short, easy running twice a week. In December, I was able to add some strengthening exercises including some light weights and up my running to longer (4-4.5 miles) easy running three times a week. I was still in pain pretty much all the time, but it was significantly less and there were days when the pain was barely noticeable. Last week my physical therapist told me I could start adding stairs and hills to my training and try going a little longer. She was optimistic that I would be able to run (not race) a 10 mile race that I am signed up for in mid-January. Another half mile added to my distance was an awesome Christmas present. Getting stronger and really hoping my PT let’s me run 3x next week. Ready to get back to training! On New Year’s Eve I ran the Midnight Run in Central Park. It was a packed scene and we decided not to drop our bags. My pack wasn’t very heavy (it only contained a jacket), but it wasn’t a running pack so I ended up holding on to the straps the entire time. By the end of the hilly race, my back and shoulders were pretty sore. Disappointingly, I decided to skip my New Year’s Day hike the next day to allow my body to recover. By the next day, Saturday, I was feeling better and able to do my strengthening exercises and on Sunday morning I was ready to run my 5 miler. Until that sneeze. Happy New Year from Central Park! Rang in the new year with these babes. Less than 24 hours after that dreaded sneeze, I was in my physical therapist’s office getting a massage, ultrasound, and muscle stimulation. My doctor told me that my back is spasming, likely because I injured a disc during the sneeze. For the next few days I am to stand instead of sit as much as possible, do my stretches multiple times a day, and ice my back. And no running. I’ll see her again on Friday to assess how I am doing. I’ve had friends express concern about me not having an MRI or X-ray. I trust my therapist and from what I have learned from my own research and she confirmed this morning, the protocol that we would follow even if I got an MRI or X-ray and they saw something would be much the same. My pain, while significant, isn’t something that I want to take pain killers for and my therapist is fine with that. The only thing that might be different if I went to specialist is the option for surgery, but typically a therapy approach is followed first and surgery is only used a last resort. At this point, I don’t think surgery is a route to consider. My therapist and I are both optimistic that this can be healed naturally and as long as I show improvement that will likely be the case. This sneeze situation is coincidental to my current injury and my therapist believes that in a few days the spasming will subside and we can get back to my previous recovery protocol. The fact is that for this type of injury it will take about 2 years before I am fully healed. That doesn’t mean I will be in pain or active recovery for that long, but it will be that long before the risk of relapse isn’t significantly higher. During that time (and for the rest of my life if I want a healthy spine) I will have to keep a good maintenance routine of stretching and strengthening. This would be the case even without injury as I start to run longer and more technical trail. The fact of the matter is that I am older and have some degeneration, have had poor posture most of my life, and I haven’t been taking care of my back. My massage therapist repeatedly told me through marathon training that I needed to see someone because my spine motility wasn’t very good and my back muscles were always very tight. And in regards to stretching and strengthening I did very little to help myself. Even if I hadn’t strained my back and neck, the sneeze while bent over could have had the same impact because of the condition of my spine and back strength. So what does this mean for my running? Well, no running for now. I am going to give up my spot in the mid-January race and focus on recovery for as long as it takes. At some point, I will be able to run again. It may take weeks or months to get back to it with any kind of real schedule and I don’t even know how long it will take to get back to technical trail or long distance. Those things don’t really matter right now, though. I know that when I am able to get back out there, I will just be happy to be running. I have always seen running as gift that I am so grateful for. Less than 3 years ago, I didn’t think I could do it anymore. This time I know that I can. It is just going to take some time. After the New York City Marathon, I took a week off of running as dictated by my training plan. I was a little sore for the first couple of days, but by end of week I was ready to get back to running. Unfortunately, I picked up a bug and ended up sick and in bed for the entire weekend plus a couple of days the following week. By mid-week the second week after the marathon, I was back in the office and ready to get back to running despite some glute and hip pain that seemed to surface out of nowhere early in the week. Headed to Tiffany’s to get this beautiful marathon memento after my first day back in the office. Wednesday evening that second week, I noticed the right side of my neck was sore. I assumed that it was probably just a little stiff from spending several days in bed, lying on my side, watching movies on my laptop. On Thursday morning I felt fine and headed out for a short easy 30 minute run. I was super excited for a 7 mile trail race that I was heading to with friends on Saturday. My neck pain returned that evening and my hip and glute still seemed to be a little tight and aggravated, too. I stretched and rolled and tried to get things relaxed for the trail race. The trail race on Saturday was fun. I was there with many of trail running group and the course was lovely. I was a little surprised at how tired I felt, but my neck wasn’t hurting and my glute didn’t seem any more tight than it had been before some of my marathon training runs. I knew the distance may be a little too much to take on so soon especially since I hadn’t been running so I decided not to push too much. I was happy with my race and afterward I stuck around with my trail friends who were volunteering. That evening my back and neck started to really hurt and I got a little concerned, but I decided to give it a day or two to see whether it was just normal post-race soreness since I hadn’t been on trail in months. By Monday morning, my back and neck weren’t doing any better and I decided that I should go get checked out to rule out anything spinal or nerve related. I was lucky that a friend and team mate have a family member that is a physical therapist and they fit me in that afternoon. She didn’t think there was any spinal or nerve injury, but felt that I would need some therapy to recover. She thinks I likely aggravated my neck while sick in bed then really exacerbated it during the trail race and hanging out in the cold after. She gave me some exercises to do with my foam roller and we set up an appointment for later in the week. That was almost three weeks ago. I saw her a few times before heading to Florida to visit my family for Thanksgiving. She had told me I was okay to run short and easy so while I was there I ran a few times. I got in 12 miles that week via four short 3 mile runs. I took my foam roller to Florida and kept up with my exercises. I felt pretty good despite having a little bit of a relapse the evening of Thanksgiving. I had helped chop and cook that morning and aggravated my neck and back so badly that I laid on the floor that evening for relief. By the time I got back to see my PT last week, I was feeling a bit better, but knew that I had regressed a bit. Sure enough, when I saw my PT she asked me to cut back on the running — only twice a week for no more than 30 minutes of easy running. And no 15K race with my friends on the 12th. She also told me that it would be at least 3-6 more weeks before I was recovered. I was devastated. Was excited to get a few runs in while in Florida. I haven’t run since my last PT session on Monday. The week was packed with after-work events and to be honest I was so bummed by the news that I had regressed that I couldn’t bring myself to get out the door. My motivation for doing my PT-prescribed exercises dwindled, as well, but I kept up with them. Recovery takes time and rest. I think the worst part is feeling like anything I do could potentially set me back. I have to be careful about not only what cross-training I do, but little things like crossing my legs, how long I sit or stand, my posture, carrying heavy things, and I have to be mindful to not tense my shoulders, neck, or back which is difficult when they are aggravated. I have been working from home because sitting at my desk at work all day aggravates my back and neck so much. (I have a standing desk on order that should arrive next week.) There is never a moment when I am not in some kind of pain. Sometimes it just an uncomfortableness and others I just want to lay down on a heating pad. When it’s that latter, I get really bummed that I may have set myself back in some way. For me, being injured is much more of a mental challenge than a physical one. I can work through pain. I’m a pretty tough cookie when it comes to that. Being constantly concerned that I am regressing is really challenging. It takes me about 30 minutes each night. I do the stretches in the morning, too, along with the single leg balance. My PT identified a slight muscle imbalance on the side that my glute/hip pain is happening so I do extra exercises on that side. I can say that the feeling of accomplishment getting these done every day is great. And I am excited that I will be returning to running stronger and more balanced. By the time I get back to training, it may be over 2 months from the marathon which I try not to think about. Just want to focus on getting better and stronger. I am also hoping to use this down-time to study for and take my coaching certification test. And I still need to find my A races for 2016. My 40th birthday is knocking on the door, too. There should be plenty to keep me distracted.